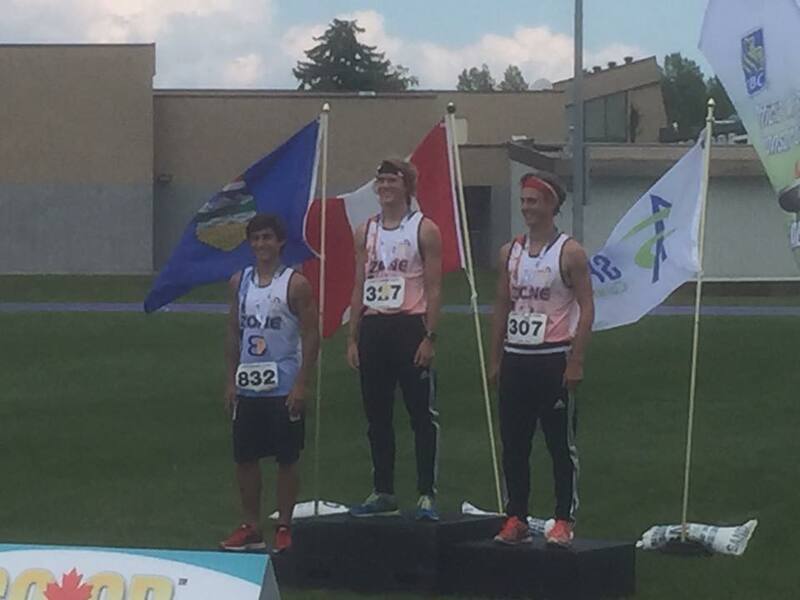 Zone 8 Track and Field athletes combined for a total of 10 medals (2 silver and 8 bronze) at the 2016 Alberta Summer Games in Leduc in Alberta on the weekend. Sexmith’s Vanessa Spenner (U16 Discus) and Valleyview’s Aimee Caron (U16 80m Hurdles) both recorded runner-up finishes. The 2016 total represented a three medal improvement from the last Games. In the 2014 ASG track meet, Zone 8 captured 5 silver and 2 bronze medals. The 2018 Alberta Summer Games will take place in July 2018 at the Legion Track in Grande Prairie. This entry was posted in Outdoor Track and Field and tagged 2016 Alberta Summer Games, Athletics Alberta, Grande Prairie, Peace Country, Track and Field, Wolves Athletics Club, Zone 8. Bookmark the permalink.